Chittagong University Admission Test Result 2018-19 have been published & found here. CU Online Application starting from 13 September 2018 and ending on 06 October 2018. 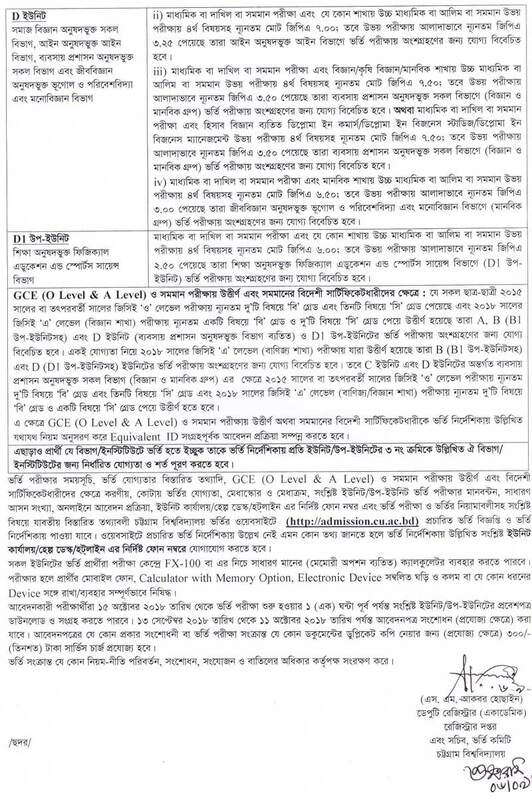 Chittagong University admission test was held from 27 to 31 October 2018. 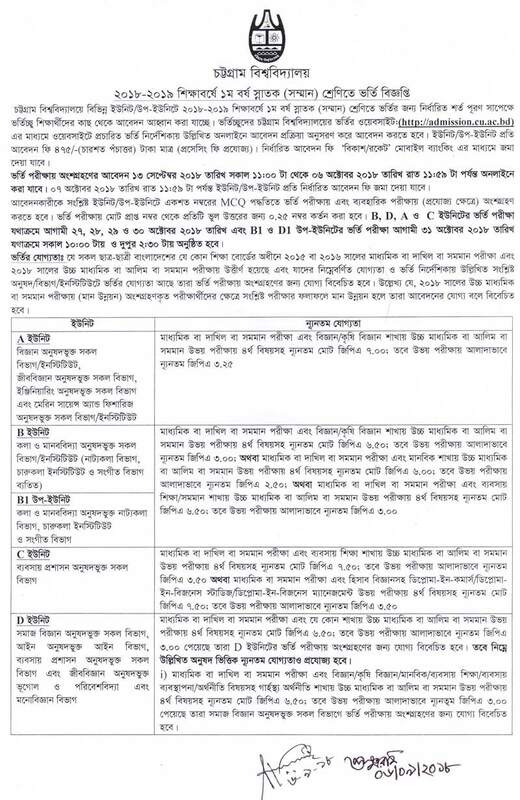 Chittagong University Admission Notice 2018-19 will be found here. 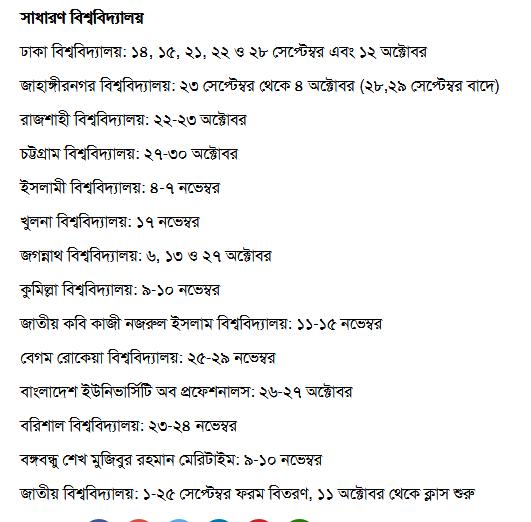 Chittagong University Admission Test Result 2018-19. Chittagong University Admission Test for the session 2018-19 for undergraduate honors students will start from 27 October and continue up to 31 October 2018. Admission test of the different unit will be held on a different day. This year total 3630 students will have the opportunity to get admitted to Chittagong University. Chittagong University Admission Result 2018 of each unit will be published on the following night of the admission test of that respective unit. 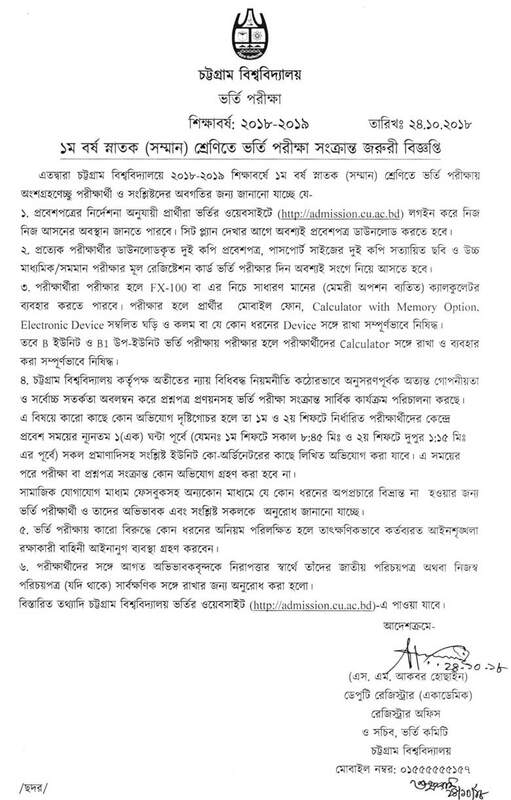 Chittagong University Apply from September 13, 2018 to October 06, 2018, only from Teletalk mobile phone. Admission Test for the session 2018-19 for undergraduate honors students will start from 27 October and continue up to 31 October 2018. See below for Details. 13 September 2018 to 06 October 2018, only form Teletalk mobile phone. CU[Space]HSC Board[Space]HSC Roll[Space]HSC Year[Space]SSC Board[Space]SSC Roll[Space]SSC year[Space]Unit and Send It to 16222 Number from a Teletalk Mobile Phone.